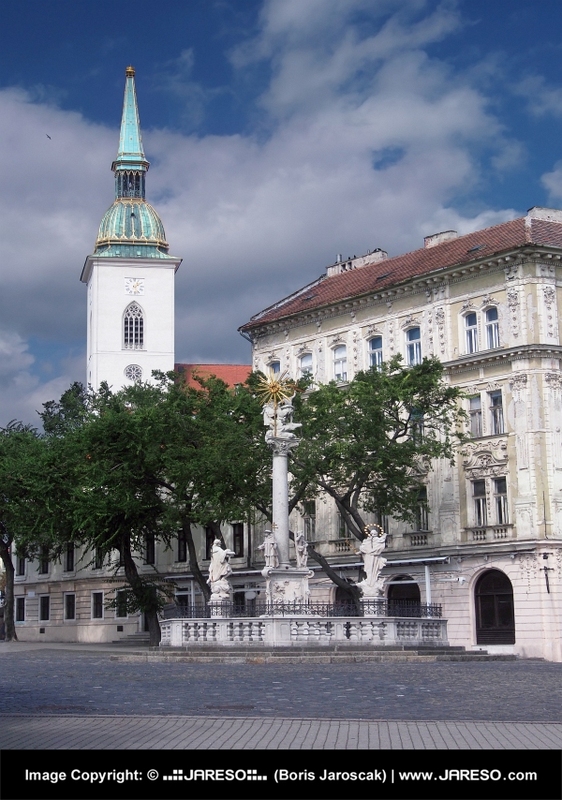 Summer view of plague column on Fish Square (Rybne Namestie) in old town city district of Bratislava. This plague column was build in 18th-century and it is located at the end of Hviezdoslavovo Square (Hviezdoslavovo Namestie) as a reminder of the city's old fish market. In the background can be seen tower of The St. Martin's Cathedral the coronation church of the Kingdom of Hungary between 1563 and 1830. 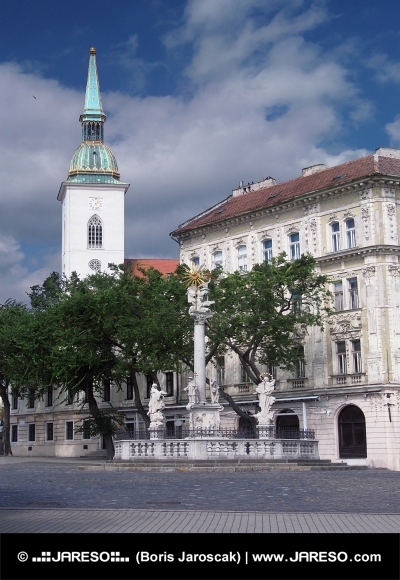 Bratislava town is capital city of Slovakia and it is definitely worth a visit.